When it comes to the story of the birth of Christ, your church’s Christmas pageant and your home Nativity scene may be a little off. Several aspects of the traditional telling of the Christmas story differ from the Biblical account and from what we have learned in the 2,000 years since. For some of you, this list may be old hat, for others it might make you a smidge uncomfortable. We know that the wise men came from the East, (that’s the orient, not Washington D.C., there are no wise men there,) and that they brought three different gifts. However, nowhere does the Biblical account say there were three wise men. There could have been any number of them. The imagery of kings from another land bowing before one true King is beautiful, but while the wise men would have been highly regarded philosophers and educated men, there is no evidence they were kings. The idea of three kings comes from a misunderstanding of the role of wise men in Eastern culture. The Bible says the shepherds saw Jesus on the night he was born, but the wise men traveled much farther. By the time they arrive to see Jesus, he is described in the Biblical account as a child, not a baby. It also mentions that they visited Christ in a house, not a stable. The popular image of Mary sitting on a donkey with Joseph walking in front or beside them may not be accurate. The Bible doesn’t specifically say there was a donkey, but it doesn’t say there wasn’t one either. We do know that Mary and Joseph came from the poor town of Nazareth and Joseph was a tradesman. These were not wealthy people and a donkey would have been considered a luxury item that was most likely outside of their means. He’s a popular character, but you won’t actually find him mentioned in the Bible. If there was an innkeeper, he was probably a family member. Remember, according to the account in Luke, Joseph was required to bring his household to his ancestral homeland. This is where Joseph grew up or at least where his family had put down roots. Chances are the owner of the inn or house was a family member and not a complete stranger. This poor guy has gotten so much flack over the years for turning away the Messiah. But, if he existed, he didn’t hesitate to offer a place to Mary and Joseph. Aside from that, the translations of the word “inn” and the location of stables in first century Bethlehem are also not what we envision today. The word we translate as “inn” could also mean “house” or “guest chamber.” The word in Luke that is often translated as “inn” in the Christmas story, is also translated as “the upper room,” in the story of the Last Supper. Also, in the culture at the time, a stable was not a barn out in the back yard, but the bottom floor of the house where the animals were kept. 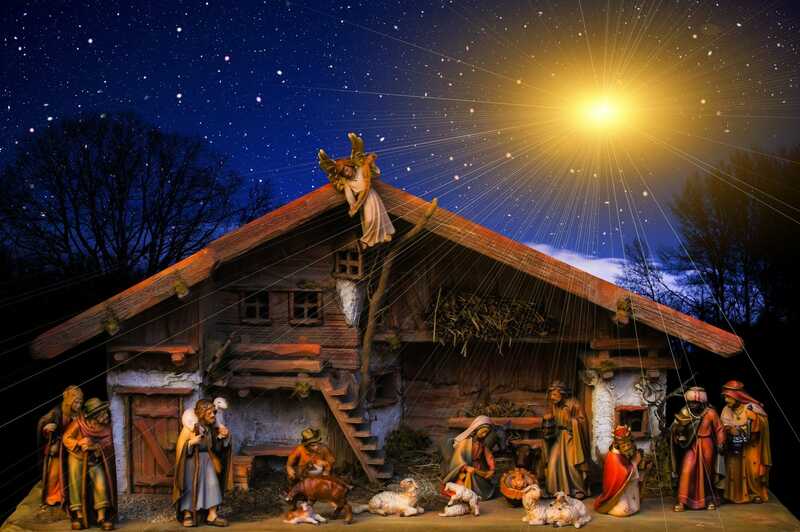 So, it is more likely that Mary and Joseph spent the night on the lower level of the house because there was not room for them in the upper levels. They’re still sleeping with the animals, but they aren’t banished to a barn. In today’s terms, there was no room in the house, so they made some room in the garage. This really shouldn’t be news to anyone. The early Church chose December for the celebration of Christmas to relate better to the pagans who celebrated the winter solstice in December. The Biblical account says shepherds were keeping watch over their flocks at night. Due to the climate, this was something that was done from April through October. The shepherds wouldn’t have been in the fields in December. Sorry, Doc Brown, but setting your time coordinates to December 25, 0000, isn’t going to land you at the birth of Christ. Jesus was most likely born between 6 and 4 B.C. This is estimated by working backwards from the age given for when he began teaching. This timetable also lines up with Herod’s rule.